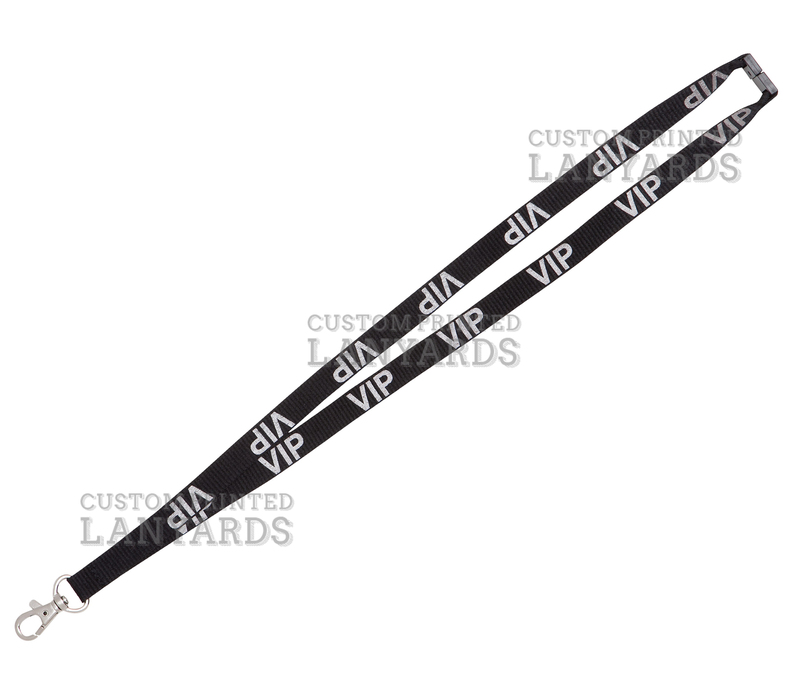 Silver Printed VIP Lanyards are 15mm wide and come with a safety breakaway and our deluxe swivel as standard. The black background makes the letters VIP stand out and at 15mm wide it is easy to see. Use them at your next promotional event for your special guests and they will feel privileged as they walk around with their ID lanyard. These lanyards are kept in stock so we can do a fast ship for you to anywhere in the UK.